Huawei P30 Pro vs iPhone XS – which should you buy? We review all phones and we don't care about brands or platforms, so we know what makes a phone worth buying and whether you should buy Huawei's new flagship, or Apple's latest iPhone. The P30 Pro sets the standard for smartphone cameras in 2019, with four cameras offering the most versatile experience on any smartphone to date. It's also got the latest hardware, runs the latest version of Android and has an enormous battery. The key problem? It's not officially available in the US so it might be a challenge to actually buy one. The iPhone XS delivers the excellent Apple experience that we all know and love. It offers an excellent screen, has Face ID, integrates with the rest of your Apple devices and offers amazing performance. The key problems are it can't take ultra-wide-angle photos, or capture details far in the distance, and it lacks the wow factor of Huawei's flagship. Comparing the iPhone to an Android phone isn't easy, but Huawei's software will feel familiar to all iPhone users. If you don't care about the platform, then the P30 Pro offers better hardware and an excellent camera, but if use Apple products daily, you'll prefer the iPhone XS. Both of these smartphones are the best that Huawei and Apple respectively have to offer. There's over six months between them, and the iPhone XS is still an excellent smartphone, but those six months have allowed Huawei to steal a march over its Cupertino-based rival. Take for example the camera – we've heard rumours that Apple might launch the new iPhone with three cameras, but Huawei is already at four cameras. It's not just about the numbers of cameras however, as the P30 Pro camera has a versatility we've not seen in smartphones before. The two cameras are designed for different purposes. The iPhone XS is designed to make the most of portrait photography, whereas the P30 Pro camera is designed to capture whatever scene you find yourself in. The iPhone's two cameras work in tandem to give you some control over depth in photos, take good all-round photography and offer a modest 2X Optical zoom which is achieved through the different focal lengths of the two sensors. Meanwhile, the P30 Pro's cameras take a different approach. The regular sensor is huge at 40MP, the ultra-wide angle sensor allows you to take fun photos and capture more than ever before, and the Time of Flight camera offers incredible depth mapping and control. The most important of the four cameras is the Periscope camera, which allows the P30 Pro to take shots with up to 5X Optical zoom, 10X hybrid almost-lossless zoom and up to 50X digital zoom. Huawei has also changed the sensor in the P30 Pro by switching all the green pixels for yellow ones, allowing night photography to be simply amazing (even without the handheld long exposure "night mode), as you can see in our iPhone XS vs P30 Pro camera comparison. Beyond the camera, both devices offer the latest hardware and while the specs list points to much better specs in the P30 Pro, it's not quite as simple. Apple is known for being able to use half the RAM that Android phones use – mainly due to its control over the entire iOS ecosystem and the integration of hardware and software – with similar or better performance. Similarly, the battery inside the iPhone XS is plentiful for a full day's usage, although based on our past experience with large Huawei batteries, we'd expect the P30 Pro battery life to be better overall. Both phones take different approaches to biometric security as well. 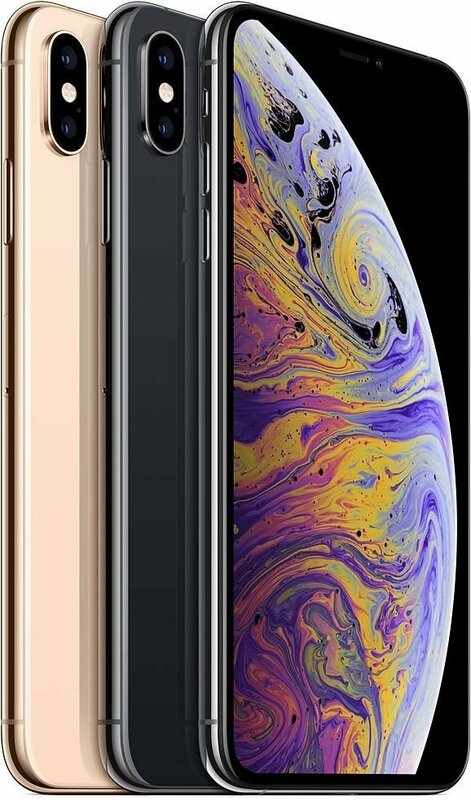 The iPhone XS no longer features a Touch ID fingerprint sensor, although Face ID is a very capable replacement and is the only biometric security option in the iPhone XS. The P30 Pro also doesn't use facial recognition – although Huawei did offer their take on Face ID in the Mate 20 Pro last year – instead, it relies on an upgraded in-display fingerprint sensor that's actually rather good. Ultimately the decision of which to buy will come down to one decision – which platform do you want? The iPhone XS offers the integration with the rest of Apple's devices that Android phones just can't offer. That said, if you picked up the Matebook X Pro, Huawei does have some nifty tricks that somewhat offer a similar level of integration. If you are sold on iOS, you'll find the iPhone XS is the right phone to buy. If however, ou want the best bang for your buck, the P30 Pro tops the iPhone XS in most ways. Granted, the P30 Pro isn't officially available in the US which makes the iPhone XS much easier to buy, but Huawei's flagship is a phone that's worth buying, even if it's not as easy as popping down to your local carrier store. The most versatile smartphone camera on the market. Four cameras, and more than four times the fun. The P30 Pro has the most versatile camera ever on a smartphone, including the ultra-wide-angle camera and up to 10X Hybrid zoom. The rest of the package is equally enticing with the latest hardware combined with the latest Android version. It's not readily available in the US, and there's a few question marks over Huawei as a company, but this is a phone that's worth buying. The perfect pick if you want an Apple device. The iPhone XS is the latest Apple smartphone and the A12X bionic processor is incredible, the camera is very reliable and the display is simply fantastic. It doesn't have the wow-factor that the four cameras on the P30 Pro do, and the camera isn't as versatile, but the integration with Apple's ecosystem is a big draw if you use Apple devices. it's also widely available in the US making it easier to buy than the P30 Pro.